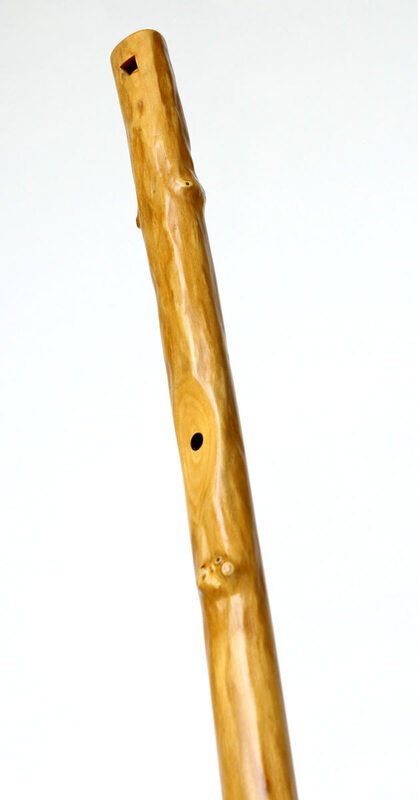 The Alghosazi is my own 'easy to play' contemporary version of the ancient Anasazi flute. 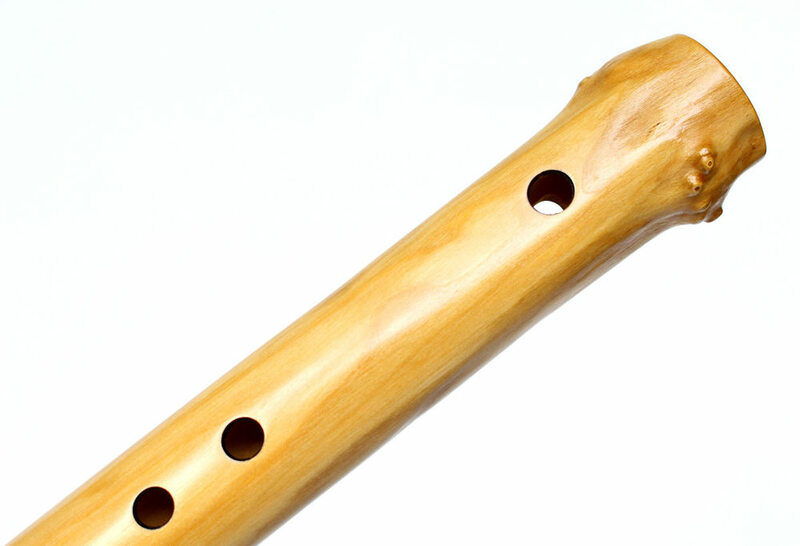 The original Ansazi flutes are 'open embouchure' instruments (just a hollow tube basically) that require a lot of technique just to produce good sound, and also the traditional hole spacing is quite difficult for a lot of people to cover. 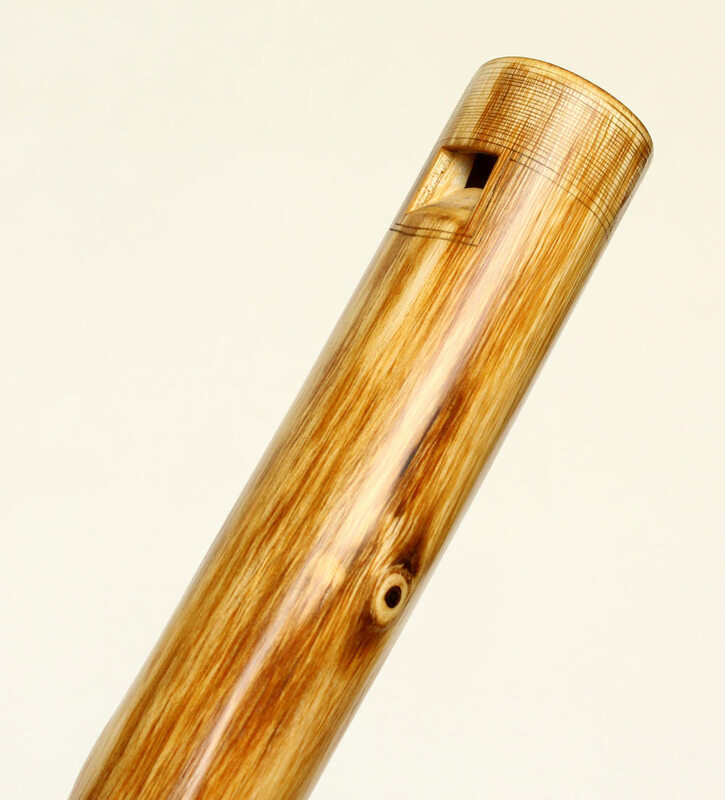 I have been developing this one for quite a while, and have created a fipple that produces a warm, vibrant sound with lots of timbre, so you don't need to know the difficult embouchure to produce good sound. I have also adjusted the hole placement (respecting the scale) making it more comfortable, and decided on moving the top hole to the back as a thumb hole to make playing easier. The Alghosazi has a two octave plus reach making it a versatile instrument that I still have yet to completely discover myself. 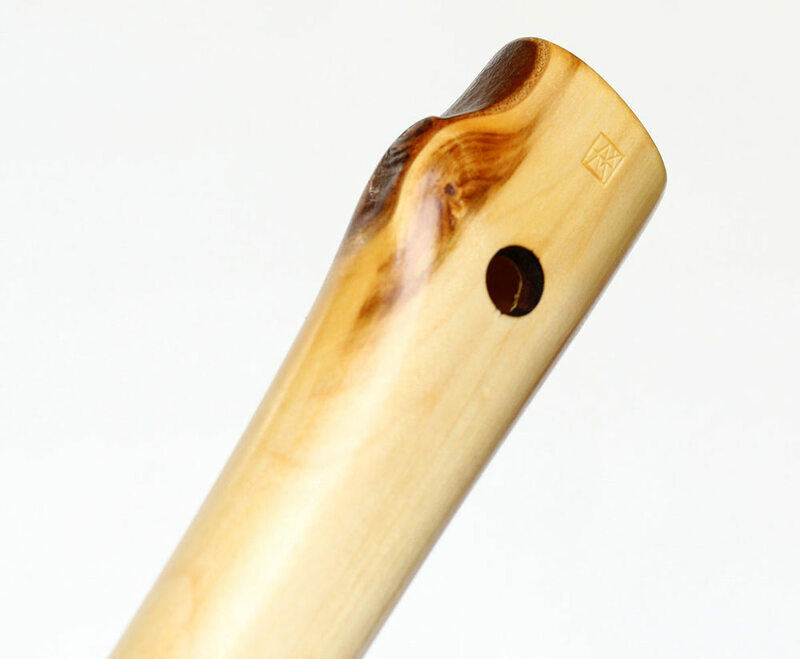 Playing it with a Kaval embouchure (lower lip in the soundwindow) is possible. 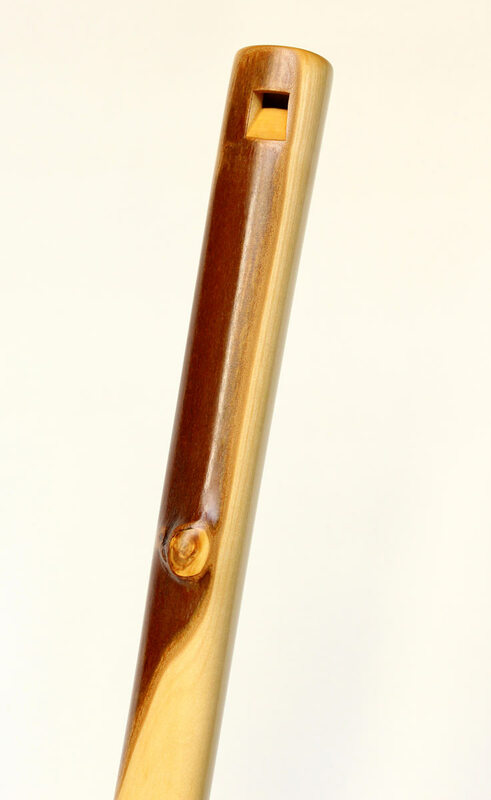 Hand-drilled ashen wood, collapsible hand-cut joint. 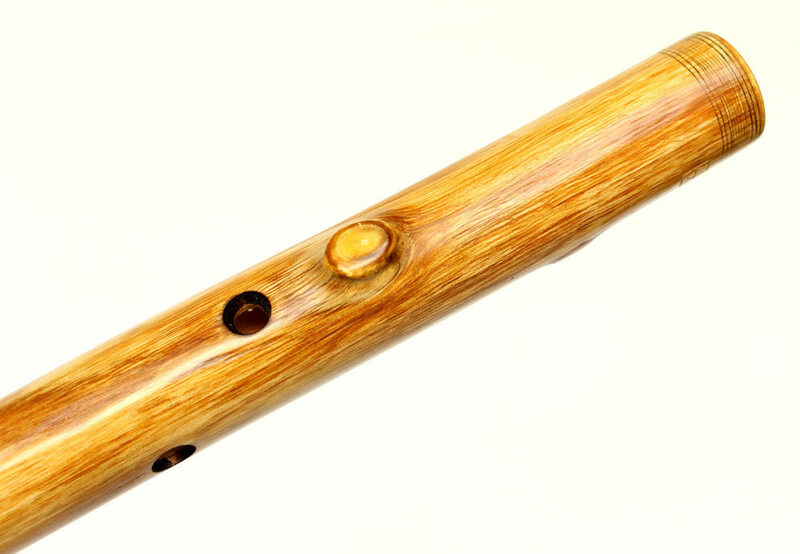 This flute has a specially designed fipple that creates the typical warm and vibrant timbre and that everyone can play. 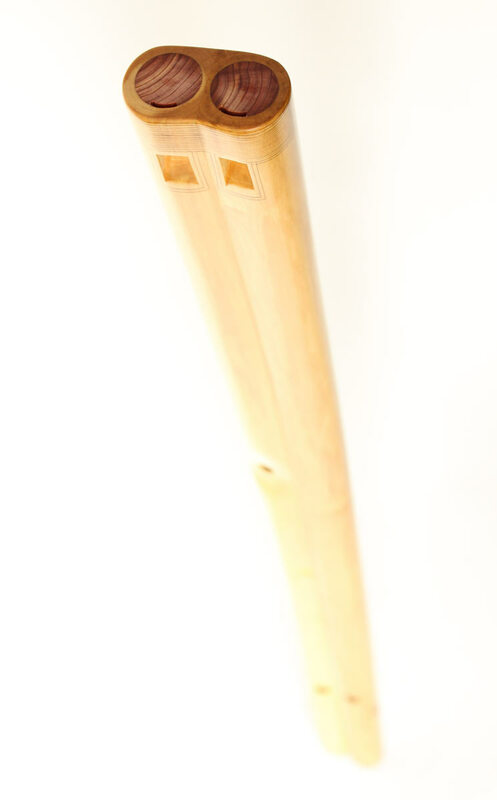 Hand-drilled Oak wood from the top of a very large tree, 3 hand-cut collapsible joints. 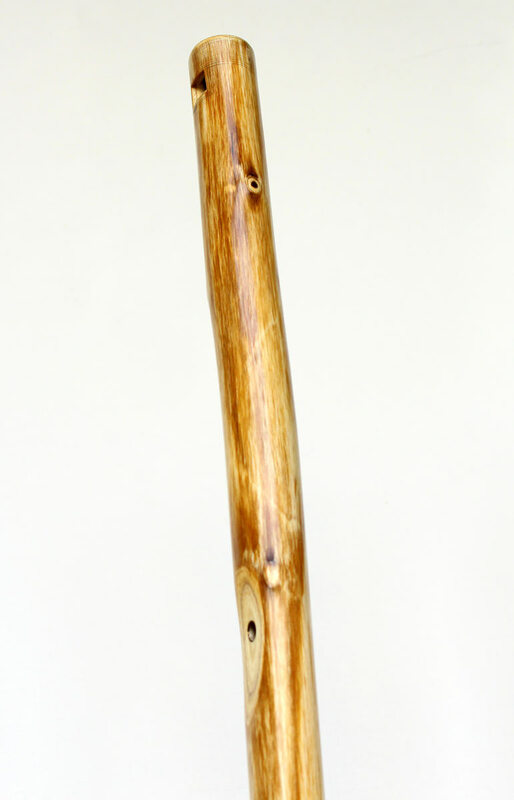 Solid piece of Ahorn with bark still partially atached. 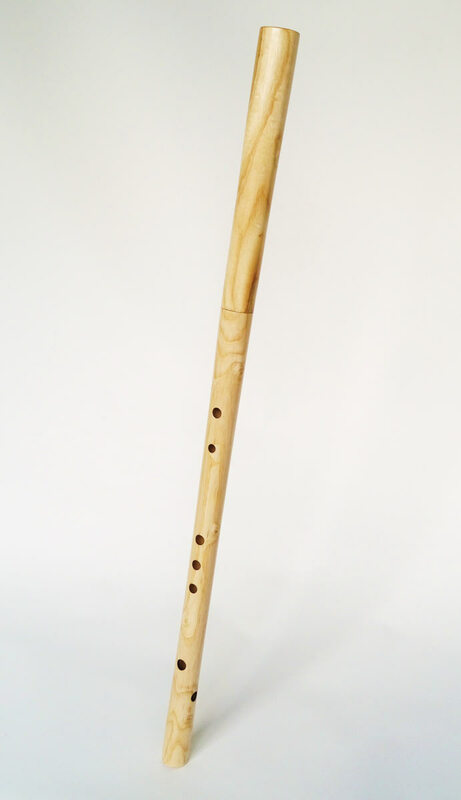 The double Alghosazi is a drone flute with an Alghosazi at one side and a drone flute with reedy sound that jumps into the natural harmonics while playing on the other side; It has two windways so the flutes can be played separately.